Gov. 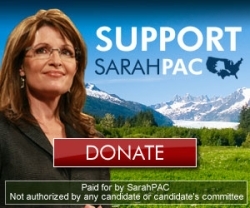 Palin is less than 30,000 people away from reaching 2 million supporters on her Facebook page. If you have yet to be fan, please go to Facebook page and join the ranks of her nearly 2 million supporters. Next, to celebrate Gov. 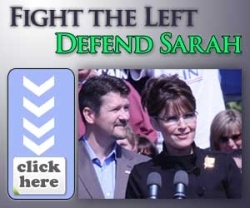 Palin’s success please visit either or both SarahPAC and the Sarah Palin Legal Defense Fund and make a donation: $5, $10, $20, $25, $50, $100, $200 – whatever you can afford – or have fun and go with a symbolic amount: $20.12 for instance.